These were the hardest four words I ever heard in my life and they were given to me by a spiritual mentor who picked me up from the floor and held me after I heard the news of the suicide of a very close personal friend. I have never gotten over the death of my friend, but her death prompted change in my own life and in the lives of others that were touched by her presence. 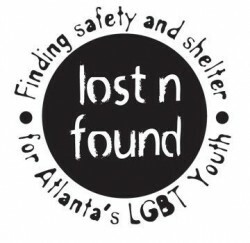 This month, Lost-n-Found was informed of the death of a young man who approached them for help, and then left the program because he didn’t think he could stop doing drugs. I don’t work directly with the LnF board, or any of the volunteers. I’m just one of those spreading the news about the work they do. But I know personally how something like this hits you. Hard and below the belt. You see the stat on my website that 6 homeless kids die on the street every day. It’s a number we don’t think about, until it’s not a number anymore. Until you meet one of those kids, look into his eyes, see the longing, and then hear the news. Then this statistic is a life lost, a son never coming home, a devastating tragedy that words can never accurately express. The death of Matthew has affected everyone at LnF and brought about some change. Below is a statement from the LnF board. From our previous post and the story in ProjectQ, many of you became aware of the sad ending to a homeless young gay man’s life. We took that original post down at the request of Matthew’s family, but we do want to make sure that Matthew’s story is told. Matthew Ralston called the LNF hotline last week at the encouragement of his friends. A recent arrival from Alabama, Matthew was 20 years old and had been couch surfing with friends he met here, but he indicated he needed to find a place to stay. In subsequent messages, he told us that he would have no shelter that night, and we agreed to let him stay on our couch temporarily until a spot opened either with us or another program. He was excited to meet us. He met Rick Westbrook, our executive director, at a local coffeehouse. Rick met Matthew, a young man with longer blond hair, blue eyes, tats, piercings, and maybe 120 pounds soaking wet, and they put his items in the car and head to the LNF house. Matthew was very easy to talk to and seemed intelligent. He was hungry, and Rick stopped to get him some fast food. They arrived at the LNF house and filled out paperwork as Matthew ate. Matthew, exhausted, was given a quick tour of the house by Rick before Matthew went to bed. The intake process was to finish in the morning. Morning arrived, and the intake interview was to continue after a quick drug test. Before even giving it to us to process, Matthew stated, “I’m going to fail that test.” He explained that he had been using, and we explain to him that we would work with him if he was ready to stop, but that drugs are not allowed in the program. Matthew said that he understood but was not ready to stop using and enter the program. At his request, we took Matthew back to midtown with the explanation that we would be available for him if he needs us, instructed to just call for food, clothes, or to talk. We told him that he needed to understand that he had value in the world and that there are people who care about him. He promised to call if needed. Matthew’s story has to be told to every LGBT person and ally that will listen. These kinds of tragedies should not continue to happen, but they do. LGBT youth homelessness is a serious problem with tragic results. -We are opening a drop-in youth center where youth like Matthew, who may not be ready to get clean, can check in and get food, clothes, referrals to other services, do laundry, use a computer, etc. The loss of Matthew hit all of us on the board very hard, and it highlights how desperately Atlanta needs this drop-in youth center. The good news: we are excited to announce that we are on track to open our thrift store in a space large enough that it can also house our youth center, ahead of schedule. Unfortunately, it didn’t open in time for Matthew, but it’s an opportunity to make sure what happened to Matthew doesn’t happen to another youth. We need your help to make progress happen and do the good work of getting these youth off the street. To that end, please discuss with the people in your world. If you can, donate to LNF and help us help more of our youth. ~The Board of Lost-n-Found Youth, Inc.